Most parents will bend over backwards to meet the needs of their children. Love, safety, a sense of belonging. Anything that is beneficial, we want them to have it. But what happens when an adoptive parent tunes in and hears the child asking for a connection, or more of a connection, to their biological family? An essential read for any adopter; words of wisdom and sense for someone who is both adoptee and adopter and has the perspective to enhance understanding. A must read! I hope it has a wide audience that takes it to heart, implements the advice and benefits many young adoptees. When young adoptees are not validated in their need for connection, knowledge of their identity and ancestors trouble undoubtedly follows. You cannot deny the rights of one sector of a society without implications and consequences. Adoption has many examples, far too numerous to go into here, which is why many have written books, articles, blogs and theses on various aspects and the numbers are increasing constantly. Does it mean we are taking adoption loss and trauma seriously at last? Hopefully so. Macing Female Peaceful Protesters: What are you Thinking, New York?! Violence against any protester is not ok. However, I take exception especially to violence against women. Foremost, I am a woman and we are an oppressed group. Secondly, we have a right to peaceful protest and to be free from violence while exercising our right. We're not all that far past women being beaten in the streets for marching for their right to vote. I am sure there are some people who would more than love to take that away from us. We have our right to voice in our government. You may be familiar with the arrests taking place and the women who were sprayed in the face with pepper spray, just for holding signs, down at the "Occupy Wall Street" movement. This movement seeks to call attention to the greed in the United States to say that the 99% of people who don't hold the wealth in this country are tired of what's going on. Movements are starting up in major areas all over the country. As a woman, a civil rights activist, and someone who has protested on more than one occasion, I have to say this: this violence against protesters is not OK. 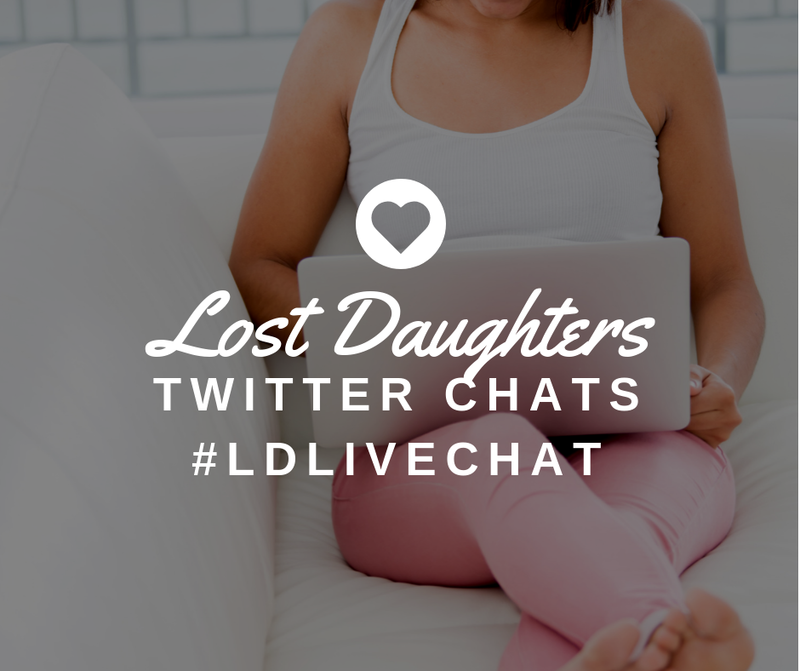 I also wanted to share this question with Lost Daughters and readers. What would you answer? Linda wrote: "I wanted to keep my baby. Is it right that I was manipulated and coerced and lied to because I was single? It was 1971. The church I attended at the time and have since left still tells single girls and women that the RIGHT thing to do is surrender their baby. If I had had some support until I could get on my feet, or had a mentor who would have helped me, that would have been good. Instead it is 40 years later and I still have an unnecessary hole in my life. And I know from listening to adoptees that they suffered even in good homes. Losing a baby to adoption is something a woman never recovers from. And adoptees deal with issues their whole life. Why was a couple's desire for a baby more important than my desire to raise my own baby? Is it right that a mother can sign a relinquishment form 24 hours after giving birth? (in the state of Washington, 1971) In my case, it was more like 36 hours because of the time of birth. Is it right that if there is time to revoke the relinquishment, the mother is not told this? Is it right that an agency will NOT give a copy of the forms to a person who signed it. And then later still refuse to give the woman who signed it a copy? Also is it right that they refuse to let the mother see the records about her own child?" Scroll to the bottom of this Newspaper Article of 1878 for an advertisment which is in many ways reminiscent of the advertising of today. Perhaps the language is slightly different in some instances, prettied up for a customer base that wouldn't accept an advertisement that seems so blatantly to be about finding free servants. No doubt 'donations' changed hands and some money was involved. Most of you have seen those lists of babies available for adoption, or as they are sometimes called 'adoption situations'. Can we honestly say there is any difference, that adoption has changed in any way? Parenting may have changed over the decades and the adoption industry, taken advice from the advertising industry and made changes in order to sell adoptees 'better' to willing buyers. Some adoptees who would once have had access to records and information no longer do, although others have experienced changes for the better. They are few. Sadly not so for the adoptees who remain uninformed of their adoption, some of their relatives uninformed of their existence. My own brother and sisters knew nothing about me, their half-sibling, for over 60 years. Fortunately their mother was dead once they knew, as it is suspected she did not know either. I was very relieved not to have to have been instrumental in bringing the glad tidings to her and would have avoided it at all costs. It is adoptees, those 'little mistakes', who take the burden of the indescision, negligence and choices not to tell, who agonise over what to do and try to balance that against their need to know medical history, ancestry, identity and where they have come from. Adoptees who have not been told they are adoptees by their adopters and discover by accident or in some other way, have enormous adjustments to make to their sense of self, their place in the family and their course for the future. If they also happen to be someone who's existence has been kept a secret in the biological family, a double blow bringing with it other fears and concerns! Those who take their identity and history for granted sometimes seem to think so little about how it must be not to have that certainty and security, the dilemmas, the contradictions and complications. Lucky them! I started searching slightly afraid of what I was going to find. I'll admit to buying into the stereotypes and wondering about the circumstances of my birth. Would I find that my first mother wasn't the person that I wanted her to be? Did she know who my first father was? Did I have siblings? I had no idea what to expect. I was given very little to go off of growing up. I was given her first name, how old she was when I was born and the name of the city I was born in. Thanks to Wikipedia, I was able to learn a little bit about the city I was born in which allowed me to make an educated guess as to my ethnicity. I didn't have a lot of hope for finding what I wanted. I figured I'd eventually have to petition the courts. I knew that would be a hard thing to do because I live in a tiered access state. I wanted to do everything I could without getting to that point. I had/have an undiagnosed medical condition so I knew which angle I would argue in court. I had doctors tell me I couldn't be diagnosed without medical history, so I knew which doctors I would go to for statements to argue my file should be opened. But I wanted to find them without all of that hassle. I also wanted instant gratification. What can I say? It comes with my generation. I ended up paying for a report. The report contained all the names of woman born in Massachusetts on my first mother's birthday who shared her first name. I figured there would be maybe five or six and I'd have to work hard to narrow it down. Instead, it came back with only two names, and one was very clearly not right. I had found my first mother for $15. I started to look into other information the report gave including family members. That's how I discovered my first parents had gotten married. One of the relatives that was listed shared his first name, and when I put the first and last name combination into the free online birth date database, it came up as the same birthday I had from my non-identifying information. I was thrilled. I was scared that I was the product of something bad, but if they got married, then they had to have at least loved each other once right? I kept digging. I came across a birth announcement for my youngest sister. It's amazing what Google will tell you. That's how I found out about my two younger sisters. When I got in touch with my first mother for the first time, I wasn't sure what she would tell me about them. I ended up with a mixed bag. They didn't know about me and she wasn't ready to tell them. They were 12 and 15 at the time. Now they are 14 and 17, but still not ready to hear about me (my first parent's words not mine). I've had to play the waiting game for a while now, and I'll be playing it for a long time. Not only am I waiting for my siblings to learn about me, but I'm also waiting for my paternal family to find out I exist. My first father never told his family that he gave up a daughter for adoption. I have an entire group of people out there I'm related to who don't know I'm even alive. I have family that does know I'm alive, but not that I'm back in touch with the family. I'd love to get to know my maternal grandmother and my maternal uncle, who I have discovered both share the same profession as me. I stumbled into the family business without realizing it! It's hard to play the waiting game. There is so much information out there at our finger tips with the Internet. I have contact information for nearly ALL of my relatives. But out of respect for my first parents, and in order to protect my sisters, I'm sitting on that information, waiting until my first parents let me know it's ok. I don't think that day is going to come soon. I doubt it will even come at all. It's been challenging for me to hold off. But I keep thinking about my sisters. I do believe it's in their best interest for them to know about me. But I also believe that their parents need to be the ones to tell them. And I also believe that hearing this news from a stranger is also not in their best interests. So I have to wait because I want what's best for them. And I hope that when they do find out, they forgive me for waiting. "Oh, well of course I believe women are equal but I don't support them being constitutionally recognized as such because....."
"wouldn't the professional sports teams have to include both genders? I'm sorry, but sports wouldn't be as enjoyable for me any more if there were women playing alongside men." "I want the least female involvement in the military possible." "they would compete for all of the higher-level positions held by men. Who would be doing secretarial and sales work? Those positions need to be filled too, you know." "women need a lot of time off from work for having babies and child care and stuff. 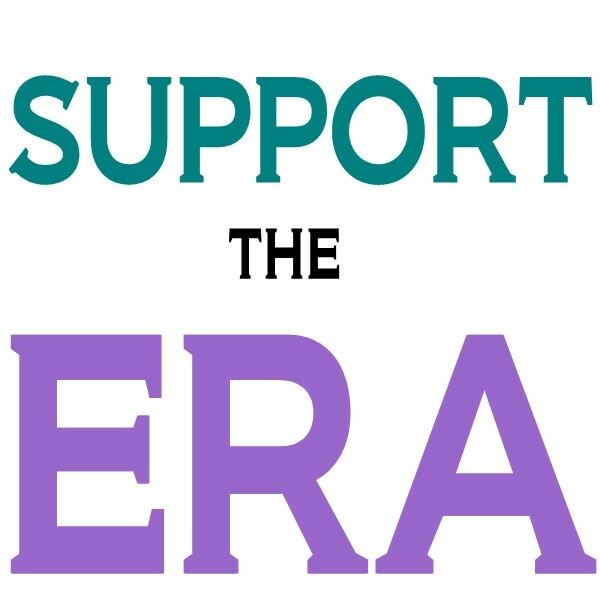 Equality means we'll have to force employers to give equal pay when it wouldn't really be fair." "I don't want there to be an opportunity for women to make 'bad decisions' and policies for themselves, like the right to access abortion services or free birth control." Women can only be trusted to make decisions, specifically decisions for themselves, if they are the decisions others want them to make. They're not really capable of speaking for themselves or representing the needs of women as a group. Women are really just possessions. They can't be seen equally to men because it would ruin things that men enjoy, like sports teams. Women are just an inconvenience to others. They can't have equality because their value to various institutions in the U.S. is not equal to that of a man's. In other words: women are not seen as being fully human. Full humanity is equality; the same rights for every person, regardless of what diverse group they may belong to. The feeling you get when people view you as pretty close to equal....but not quite, is a sinking feeling, an anger, a frustration, a deep sense of injustice. "Well, of course I support adoptees, but if we gave them equal access to OBCs....."
"they would 'bang down' the doors of their original mothers and 'disrupt' their lives." "pregnant women would all have abortions instead of choosing adoption if they know adoptees can access their OBCs whenever they want. Adoptees should just be grateful they weren't aborted." "no one would want to adopt any more. People don't adopt for their children to be recognized as members of another family. They adopt to build their own families. This would catastrophically impact adoption rates." That adoptees as a group can automatically be assumed to be less likely than anyone else in the rest of the general population to be able to maturely handle their own interpersonal relationships with their own family members without government involvement. Are we not fully human then? An adoptee's place in their family is to be what others want them to be: not to have their own desires, wishes, reality, and individuality respected. Possessions. Are we not fully human then? There is a quote in the movie "Iron Jawed Angels" that I love. "Go home to your mothers!" someone from the crowd shouts at women marching on Washington. "My mother is here!" a woman shouts back. People say "gracious me!" to the adoptee rights activist, "what will your adoptive parents think?!" I say right back: "my adoptive parents support adoptee rights too!" 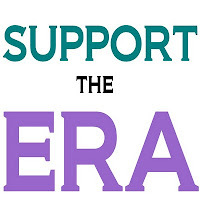 The response to undrafted, unaddressed, and unpassed Adoptee Rights bills is perhaps the same to the response to the unratified ERA: "you are basically equal. Is it really that big of a deal?" Some fields are becoming less gender segregated, and in some, women earn near enough as men. Women are surpassing men in some areas of educational attainment. We can vote and hold political office; we have a voice in government. Women are almost equal, say some, does it really matter whether or not it is recognized by the Constitution? In the eyes of others, all adult adoptees are lacking is a "piece of paper." We're pretty much equal other than that, so what's the big deal? They fail to recognize that if that "piece of paper" were accessible in all 50 states, then it would become common knowledge that OBC access has nothing to do with abortion or adoption rates or adoptees having a higher likelihood of disrupting other's lives: those not quite human stereotypes would likely, hopefully, go away. Women are pretty much equal and what stands in the way of adoptee equality really isn't that big of a deal, some say. If it's not a big deal, good, this should be simple then: PASS THE BILL. **My purpose of mentioning this is to say what are speaking for mothers. I acknowledge that this is not necessarily how mother's feel themselves. It's been over a month since I last posted. Things move fast in the adoption world and much has happened. An agency of our Australian Government has put out a survey on adoption, which accomodates everyone affected in whatever way. Even relatives of adoptees are being asked to complete the survey and hopefully many will respond, so that we will have a much more realistic view of what adoption means to us all. It will be an official viewpoint of our Federal Government. Adoption is handled here on a State basis although our current Inquiry into forced adoption is a Federal initiative.I know that some of you are watching to see what the results will be and the report will be handed down on November 22nd. Still less than a third of the Submissions have been made by adoptees, but after the decades of silence for what we are now calling The Invisible Australians, it is a good result and an encouraging one. I know some of you have read some of those painful Submissions and thank you for your support and fellowship. In recent times that support adoptees have shown each other has been inspiring, empowering and as Joy has said, 'exhilarating'. It now seems we have a world-wide community of adoptees, a community of understanding and acceptance across the hemispheres, across age groups and cultures and beginnings. How many are able to achieve something so rare and precious? We have been so lucky to live in times when we have the mighty www to assist us and make possible what has never been before. Many adoptee lives have been transformed and the potential is unlimited. Our own Australian Adoptees Network has been formed; is still in it's infancy, but is providing the support that is needed one-one or group-one.We are gaining strength, finding our feet and beginning to move out into the wider world, challenging and no longer accepting what is said about us, our frozen position as eternal babies and invisible adult adoptees. Some of you may have seen the news report on Victoria's trade in babies, in which an adult adoptee was treated with disrespect and ignorance. Some have protested, complained and we are awaiting the results, as individuals, of our first time of standing up to be counted. We are few still, but have hopes others will join us in time as they find their way, their voices and their confidence. If we have learned anything, it is that out of pain and difficulty can come a new direction, new hope and a sense of doing something for ourselves that needs doing. Did Grandma Care About Me? It was a sunny summer day in New England. I was swimming around my cousin's medium-sized, circular, above-ground pool like a minnow. I was about nine years old, loved to swim, and was very proud at what a good swimmer I was. My grandmother (my a-mom's mom) sat in a plastic and aluminum lawn chair, legs crossed, and magazine draped over her lap; she was supervising the cousins in the backyard playing. "Look at me! Look at me! Watch what I can do!" I called out to her for probably the 100th time in a row. "OK," she said. "I'm watching." I would dive under the water and swim from one side to the other as fast as I could. For the 101st time I called out to her to watch me, I didn't dip under the water. I decided to see if she really was watching me each time. "Here I go," I said. "OK, I'm watching" she replied. But she didn't look up from her magazine. She's not really watching me. I grumbled to myself. I decided that this meant that she didn't care about me. Of course, I forgot completely about it as I went on about my day. I recalled it again years later when I was babysitting and the kids I would care for would excitedly ask me to watch them do their ballet moves or their flips from gymnastics, over, and over, and over, and over again. I know that my grandmother cared; she had probably looked the first 99 times and was just interested in her magazine. Grandparents' Day just went by this past week; it reminded me of this story and made me wonder about my original grandparents. I didn't get to see any of my grandparents a whole lot growing up. I had three sets, my mom's parents and my dad's divorced and re-married parents, spread across the U.S. For Grandparent's day at school, an older adult from church always came as my "Honorary Grandparent" so that I wouldn't feel left out. I appreciated this but was always very jealous of my peers. Grandmas and Grandpops, Mimoms and Poppies, Mommoms and Grampies, whom my peers were often younger, spitting images of, came in and took my friends home early from school. They would go to do something fun. Maybe mini-golf and ice cream. Sometimes I heard they would go to McDonalds. I stayed at school until the end and waited for the bus with my friend Leanne. Her grandparents lived far away and she had an "Honorary Grandparent" from our church too. I did not have any original grandparents waiting for me going into reunion because they had all passed away by the time I found my family. I sometimes wonder if they would have been waiting for me. I'd like to ask my original mom and my paternal aunt how they felt about the grandchild they never knew. Did they think of me? Did they talk about me? Did they remember my birthday? Would they have wanted to know me? I would be happy if they did care about me. I suppose if I were to hear that if they didn't care, I might regret asking. I can't predict what the answer will be; perhaps I should wait until I am ready to hear the answer, whatever it is, before I ask. I don't know if I believe in fate, or at least that EVERYTHING is determined by fate. I do think there are some things we can't control. On the other hand, I think that there's a lot to be said for free will. I don't think that the universe has some grand plan for me and that I don't really have a lot of say in that plan. I think that will happen will happen, but that I am ultimately the master of my own destiny. That being said, certain things have happened to me that I had absolutely NO control over. The big one being my adoption. I was a baby with no say. And it hit me the other day. What are the odds? I mean seriously, what are the chances that someone ends up adopted? As far as I can tell because record keeping when it comes to adoption is not the best, there are about 6 million adoptees in the US. Maybe this number is off, but it's the number I'm going to use for this exercise. Google tells me there are about 307 million Americans in the US. Again, this could be off, but it works for this exercise. Using those numbers, it means that only about 2% of the population is adopted (well slightly less than two percent but you can't have a half a person so...). Which means that if 100 people are put in a room, only two of them would be adopted. So it's a small percentage. What are the odds that I would be born and then adopted? I'll admit to having a "Why Me???" moment the other day. Anyway back to the topic at hand, I had no choice in the matter. It was done, and I'm the one living with the consequences. Sure, my adoptive parents benefited (and did not I'm sure at times - like all those times I was being a brat or didn't behave), my first parents suffered at times (my first family is sort of a mess at times over this whole thing), but I'm the one who ultimately paid the cost for this. I'm the one trying to sort all of this out. I'm the one trying to figure out how to fit two families into my life. And it ain't easy! Was it fate that I ended up with my parents? I don't really think so. I could have ended up with another couple. My first parents can't remember what made them pick my parents, but I'm sure it wasn't anything huge if they can't remember it now. The big thing was religion. I was raised Catholic because that's what they wanted. They do remember that. That seemed to be the only criteria they had. Out of the three couples they were presented with, one was off the table right away because they were Jewish. Go figure. So I really don't think it was fate, I think it was based on my first parents making a decision that would affect the rest of my life. Free will on their part, I was a baby who didn't have a say. I don't think I was "fated" to become Catholic, I just think me being adopted my Catholic adoptive parents made my first parents feel better. Was it fate for me to become the person I am today? I think some of it is dependent on my first parents. I never understood genetics until I got to know my first father. And then it sort of hit me. BOOM NATURE MATTERS! We're a lot alike. Plus according to him I'm a lot alike my sisters, two people I've never met. So genetics defiantly play a role. At the same time, I do notice that there are times I'm a lot like my adoptive mother. She's the one who mainly raised me (my adoptive dad worked a lot when I was a kid) and I do believe that my parents taught me a lot and influenced who I became. Where do I fit in? Once I moved off on my own, I did change. I became a different person as I discovered who I was on my own. I do believe that my free will has made me into the person that I am today. I can choose to be a certain type of person, and I do. I used to fight my core personality. I choose not to do that anymore. I choose to be more like my first family. I choose to not resent the fact I'm different than my adoptive parents. I choose to act like my adoptive mother would want me to act in certain situations. She's a great person and she taught me to be like her in certain ways. That's my take on it. I'm trying to choose to be happy these days. Some days it works, other days it doesn't. I'm trying to take back control of my life when I can. I have a new favorite quote these days. My First Mother, Norma Carol Lowe, was born on 9/11. She gave birth to me as a young, unwed mother in 1968 and was one of the first to inquire of the ALMA Registry (Adoptee's Liberation Movement) looking for her "son", being informed by the hospital staff and attorney after going through a difficult labor and c-section that she had given birth to a baby boy. Sadly, she died in 1980, thinking she had a son who she told her family would someday "come back". But, in truth, she actually had a daughter, who, indeed, did come back, 10 yrs too late to meet her (again) on this side of eternity. With my Mother's birthday on 9/11, I have finally been able to grieve her passing and loss of my dream to know her. I sit and watch the 9/11 Memorials on TV and cry for my Mother & the numbing pain she endured much like the innocent victims of 2001. It took years of slowly unthawing from the nothingness I felt inside, the day I found my Grandmother and heard my own Mother's story. On my own birthday a few years ago I was driving alone, listening to the radio, when a beautiful lullaby I had never heard came over the waves, immediately catching my attention. It was Bette Midler singing "Baby of Mine" and the tears flowed again ~ but this time they were tears of acceptance. I could finally embrace the love I knew my Mother had for me all along, and the strong connection we shared. She is my Mother. And I miss her. I am the swift uplifting rush of quiet birds encircled flight. miss a Mother who I never met? Just ask the six million plus Americans left to wonder about the fate of loved ones separated by "sealed records" adoption laws. For several years after finding her family and being told of her death and search, I walked around in a strange numbness. Although not able to "feel" grief at the time, I wept uncontrollably, without realizing the deep impact this news and my nMother made in my life. I watched, prayed & cried, just a few short years later, as my adoptive Mother battled the same disease that had taken my nMother's life. 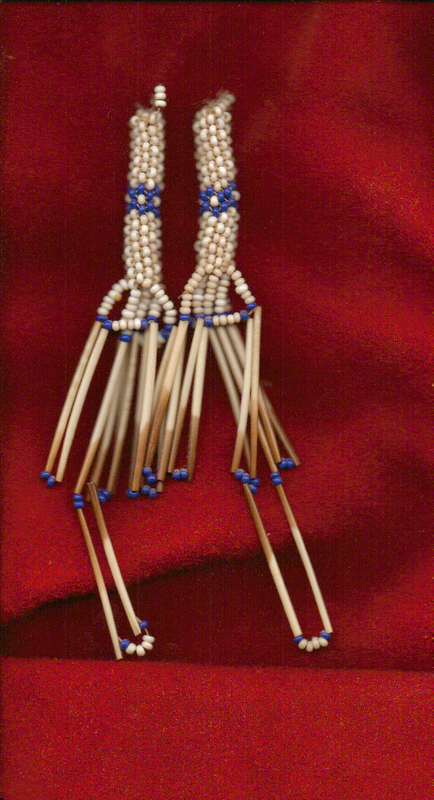 Finally, after allowing myself to "unthaw" emotionally and feel the heart-gripping pain of losing my nMother, I was able to embrace that part of myself that I had rejected the same moment I learned the news of her death. That part that needed to grieve and live again, by embracing who my Mother was, and accept the gifts she had given me and carry in my heart always. We both love animals, the color purple, writing, and cheering for the underdog. But it goes so much deeper than that. She will always be a part of me... Happy Birthday, Norma. I love you. I remember the day my adopted brother was delivered to our home by a seemingly nice lady in a '50's sedan of some kind. Even though I was only three and a half I remember it very clearly and was thrilled to have a sibling to grow up with. I was not bonding with my adoptive parents, to say the very, very, very least. We became very close not just as brother and sister, but as companions clinging to one another to cope with abuse and the confusion of adoption. It was a bond that formed out of mutual understanding that the situation we had been placed in was not one of love, family, and “home” but instead one of nightmarish proportions. My brother taught me to use my sense of humor to lighten the weight of the fear we lived under every day. We could not change what was happening to us, all we could do is change how we dealt with it. To this day, I am thankful for the gift of laughter and humor my brother gave me. I miss him. We remained close until I left home after graduating High School and he moved with my adoptive parents states away. I was glad to have grown up and escaped as long planned, but I knew that he was still enduring the oppressive and relentless physical and emotional abuse doled out by our adoptive parents on a daily basis. But, I was drowning in my own issues stemming from what happened to us and could do nothing to save myself, let alone him. I have not spoken to my brother in nine years now. Attempts have been made but phone numbers have changed along with email addresses and I do so tire of running after people trying to get them to love me. Former neighbors and classmates ask about him, knowing we were so close. I feel such sadness in telling them we are no longer in communication. He has cut all of us out of his life. I believe his coldness towards our adoptive family and even myself is nothing short of normal considering....yeah. In fact when I began my work in adoption reform and was excited about it and wanted to share it with him he cut me off. I asked about helping him search for his natural mother and he stated quite frankly and I quote "She gave me up why would I want to look for her". And in response to our current relationship with our adoptive parents “They clothed us, and fed us, and put a roof over our head. I am an adult now they bear no further responsibility for me.” I all of a sudden felt like an old broken down used car that was paid off and no longer of any good “use” to its owners. What a tremendously sad attitude to have about your “family” but I also knew where he was coming from. His anger is obvious beneath coldness and sarcasm that continues to grow as he has gotten older. He was not like that as a child but I believe adoption has severely jaded him, as it does so many of us. You will find common threads of experience in adoptees, but at the same time, find differences in how we deal, and have dealt, with them unique to each individual. So much pain, hurt, and loss that did not have to become these common threads of experience in our lives. So much proof from our stories of the drastic and immediate need for change in how adoption is viewed, regulated, and legislated. To my brother Jack. I hope one day we will meet again and I can let you know when I remember the good portions of my childhood they are due in large part to your presence in my life and as my brother. You helped me survive and you are responsible in part for the person I am today. Though you might feel as though you are, you are never forgotten. And even in the bitterness and turmoil of what happened to us, you are remembered with a smile. DEAR ABBY: May I weigh in on the letter from "Noah's Real Dad in New York" (June 27), whose adult adopted son wants to reclaim his original last name? 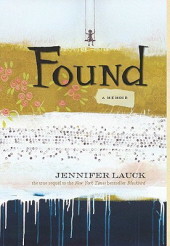 I am an adult adoptee who searched for and found my birth family. I also joined a support group that was formed to support the adoption triad. Research has shown that male adoptees struggle with their identity more than females do. After all, in our patriarchal society it is the male surname that most often does not get changed in marriage. Women are accustomed to the fact that they will most likely change their name. This family needs to do some reading on the subject. There are many resources out there. A family counselor who isn't well-educated about adoption issues will not be helpful. Unless you walk in an adoptee's shoes you cannot judge their actions. 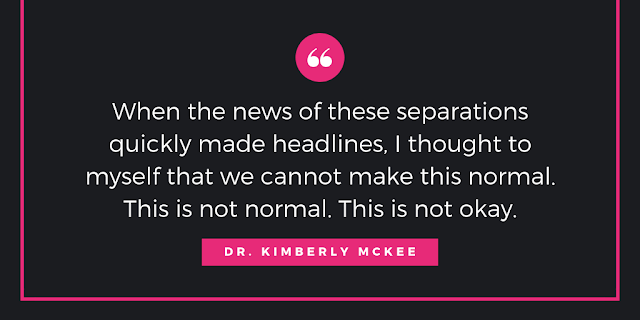 After all, the adoption decision is made without the consent of the child. We also resent being treated like children after we are adults. Noah is a 34-year-old adult able to make his own choices and decisions. DEAR ABBY: I am an adoptive parent in an open adoption with our children's birth families, and I vehemently disagree with what you wrote. My children have two mothers and two fathers. My husband and I are the parents who are raising them, but that slip of paper signed by a judge does not erase their family of origin. It shouldn't. They have an adoptive family and a biological one and should be able to have a relationship with both. My children also have two names. The names they were given at birth and the names my husband and I gave them when we adopted them as infants. They will always know about these two sets of names. When they are older, if they wish to be called by their birth name, we will have to respect that. It does not mean they love us less or that we are not their parents. 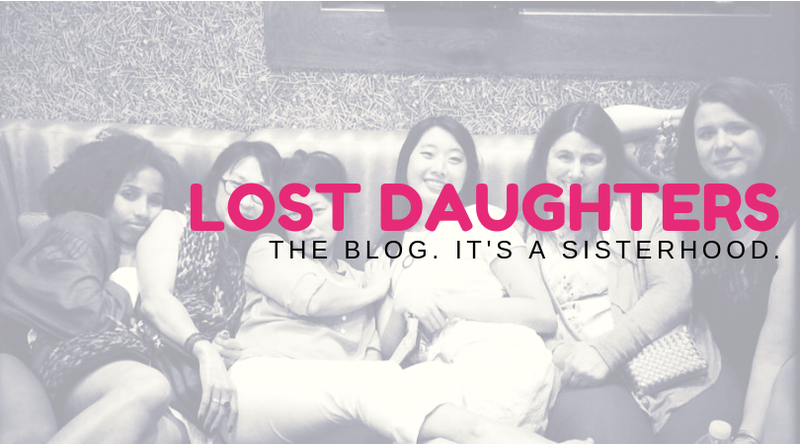 Two Lost Daughters authors (Amanda and Christina) have been contacted by the publisher of the book Found: a Memoir and asked to do a book review on their blogs. Stay tuned for the reviews which we will link to here once they are posted and happy reading! Amanda is also honored to be presenting information on Adoptee Rights at two events held at the University of Pittsburgh in September and October. Stay tuned to www.declassifiedadoptee.com for more information.